Create a Gratitude Chain with your family. 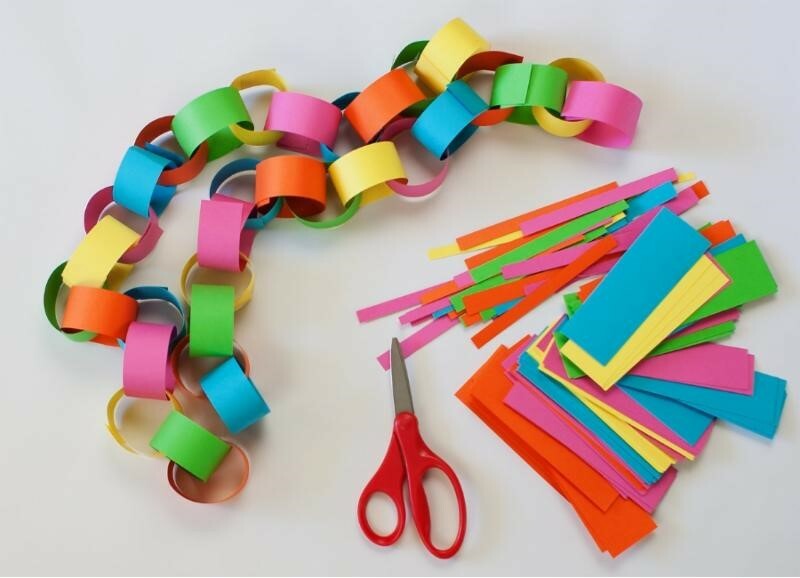 Use colored paper and pre-write a gratitude prompt on each link. Then, tape the links together and hang the chain. Each day, remove one link – maybe during a family dinner – and everyone can answer that prompt. Name a food, game, friend, trip, class, activity, etc. which makes you feel grateful. Explain why. Describe one reason you’re grateful for each member of our family. Talk about something hard that also offers reasons to be grateful. As a variation, you could ask your family members to write things they’re grateful for on colored “links” of paper, and then make the chain out of their words of gratitude. Don’t have colored paper handy? No problem. Any paper will work.